For the next week or so, leaders from 190 countries around the world are channeling their conversations at the climate talks in Paris into fixing, changing, or dumping their strategies for combating the ever-growing presence of greenhouse gases in our atmosphere. As to be expected, the talks are progressing at a snail’s pace, and protestors in Paris have found novel ways to express their frustration. As the world powers continue their tug-of-war, one foundation in the United States is taking a much more direct approach to addressing the dangers of climate change. The University of Massachusetts’s Foundation, the separate nonprofit entity governing the university’s $770 million endowment, pledged to divest all of its holdings in coal companies, joining a growing list of universities around the country making divestment a priority. The foundation’s board made the decision, and the Socially Responsible Investing Advisory Committee, composed created last year supported and composed of UMass students, faculty and alumni supported the plan to divest. 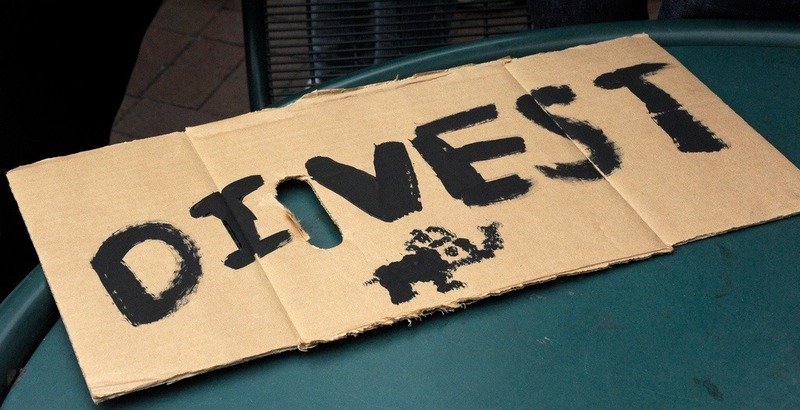 There have also been strong efforts from student groups supporting divestment as well. UMass joins the University of Maine and many other colleges that have now divested, including Stanford University, the University of California, Georgetown University, Syracuse University, and the University of Glasgow, among others. The foundation’s willingness to listen to its community is in stark contrast to the uphill battle other college campuses have faced. NPQ has reported on the battles taking and taken place at both Harvard University and New York University. In the ultimately unsuccessful lawsuit that a student group brought against Harvard, the students said that as a nonprofit entity, Harvard had the responsibility to be a leader in the climate change field by being socially responsible about its investments. Students and alumni have similarly taken NYU to task for refusing to divest, even encouraging alumni to withhold donations. Although the road to divestment at UMass and other universities has not been easy—indeed, divestment activists at UMass met many of the same roadblocks from the administration as NYU and Harvard—the eventual decision signals the recognition of the desires of their community. Nationally, environmental groups are campaigning President Barack Obama to cancel an upcoming land auction to divide off property for oil and gas drilling. The timing of the auction is particularly auspicious right in the middle of the climate talks. A new philanthropic vehicle catalyzes and convenes the troops for economic transition from coal.